Get ready for an adventure of a lifetime among Georgian Bay’s rugged outer islands. This is the tour that put the Island Queen Cruise on the map around the world. On this non-stop three-hour tour we follow in the wake of early explorers as the captain’s bring the ship surprisingly up-close to the rugged shoreline of Parry Island and the Bay’s remote outer islands. Passengers enjoy a captain’s eye view of these outer islands as the ship meanders past granite shoals into narrow channels within an eco-system so unique that it has earned World Biosphere Reserve status from the United Nations. 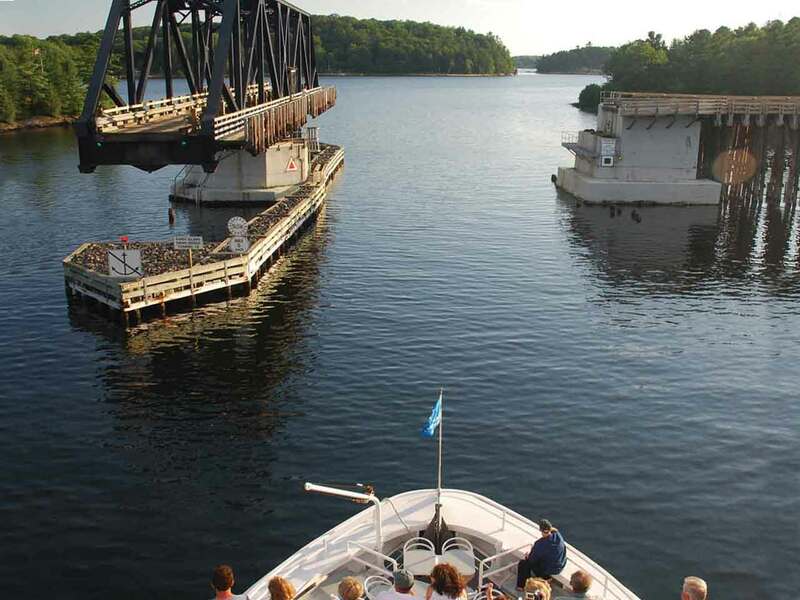 Get your camera ready as we cruise through the Hole in the Wall, Killbear Provincial Park and Massassauga Provincial Park, through the channels of the outer islands and the Rose Point Swing Bridge. This is definitely a cruise to remember.